Location: The Salvation Army, 208 8th Avenue, New York, NY. 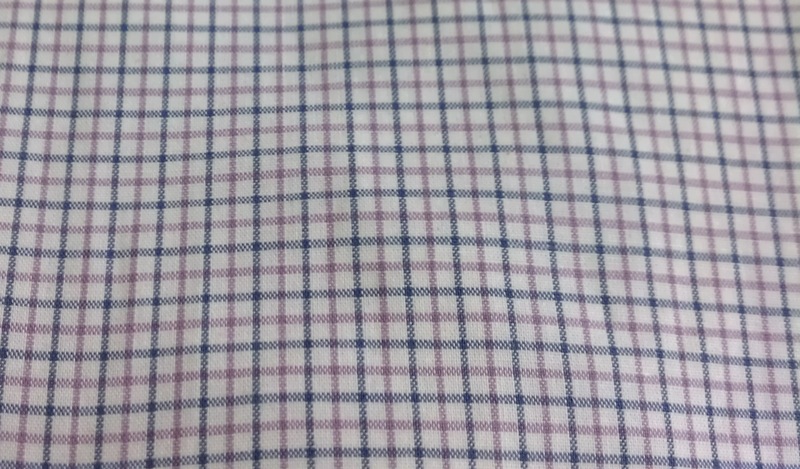 I had only one find at this location last time I visited, but it was a very good one, a 100% cotton tattersall button down from Paul Stuart. The asking price was $7.99. 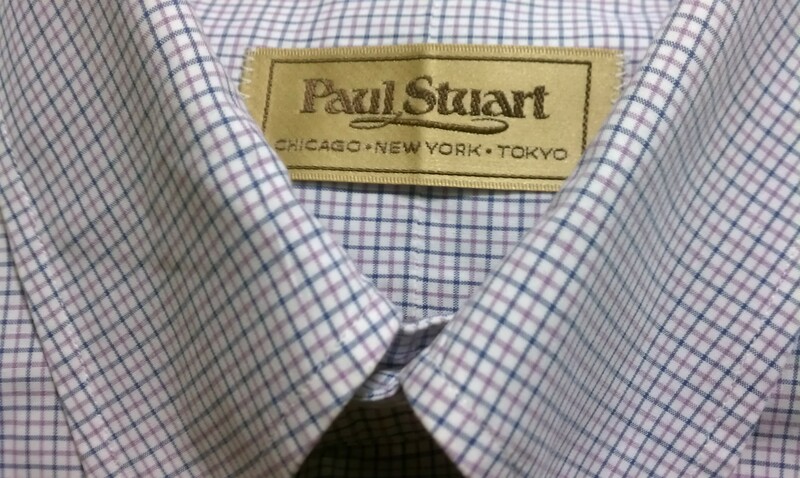 This was actually a terrific find considering that Paul Stuart shirts are astronomically priced. 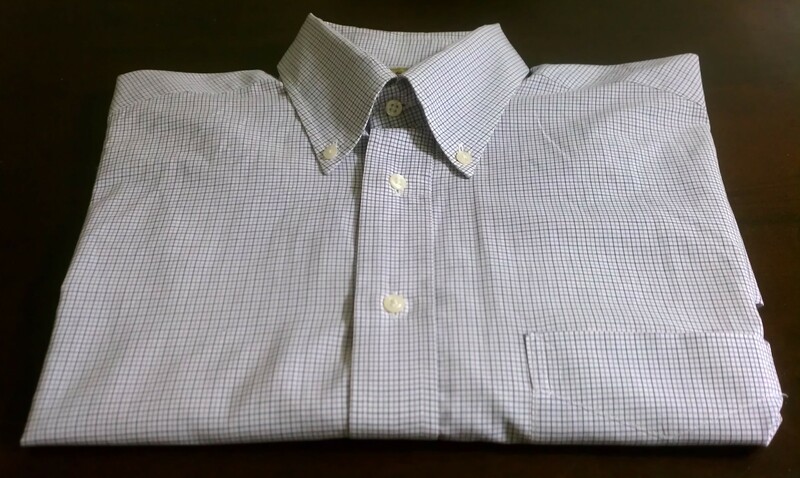 The store’s website puts the price for a dress shirt in this style anywhere from $197.00 to $297.00 (although I think at the higher end the shirts are made of Italian cotton broadcloth and have French cuffs). 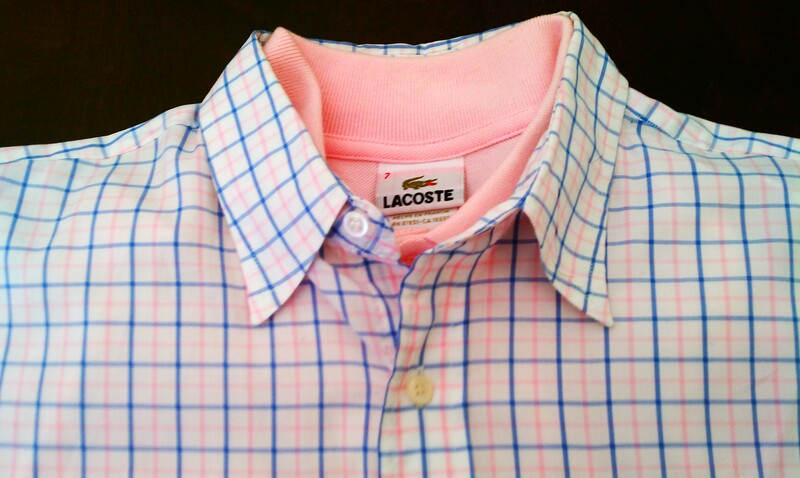 It’s not often that I come across a Paul Stuart button down on my thrift expeditions. 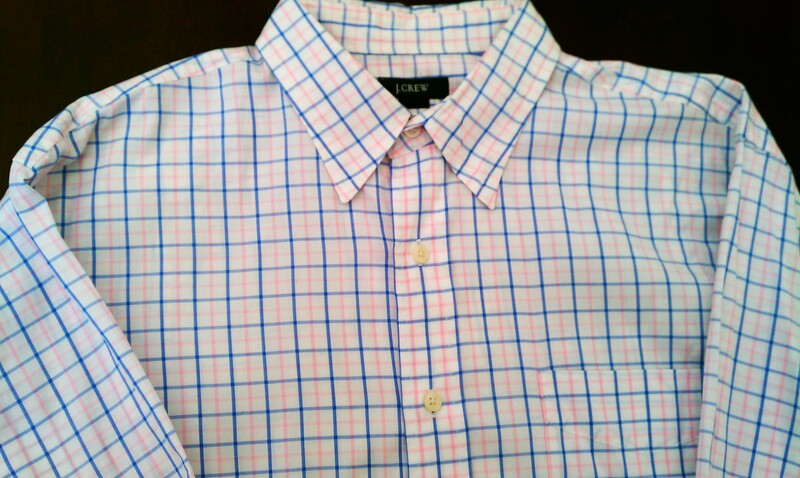 The tattersall pattern is composed of navy and light purple stripes. Of course, I could wear the shirt casually without a tie, but I think it could look really sharp with at tie and perhaps a navy blazer. My latest consignment shop find is Quirky Consignments & Collectables in Tarrytown, NY. They have a great selection of preppy clothes at very reasonable prices (yes, higher than thrift stores, but significantly better than retail). 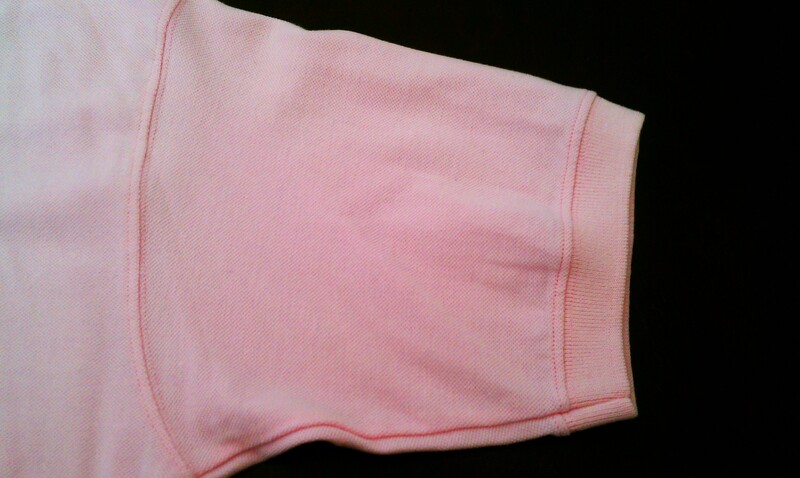 You’ll find a short review of the shop on my Consignment Shops page. 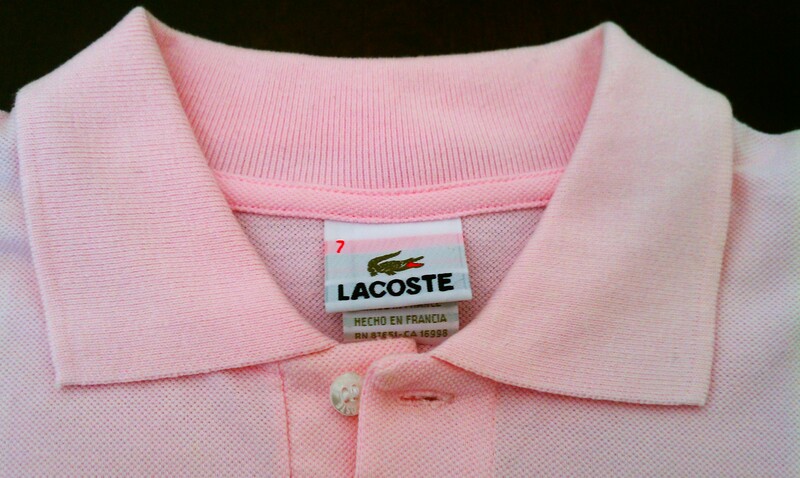 I found a pink, 2-button, short-sleeved Lacoste for $20.00. The original asking price was $25.00, but being a cheapskate, I bargained. The shirt was well worth the price. It’s practically brand new and shows absolutely no signs of wear. I’ve been hunting crocs for a while and finally bagged one! Consider that the regular retail price for this shirt is currently $89.50. That’s a $69.50 savings! 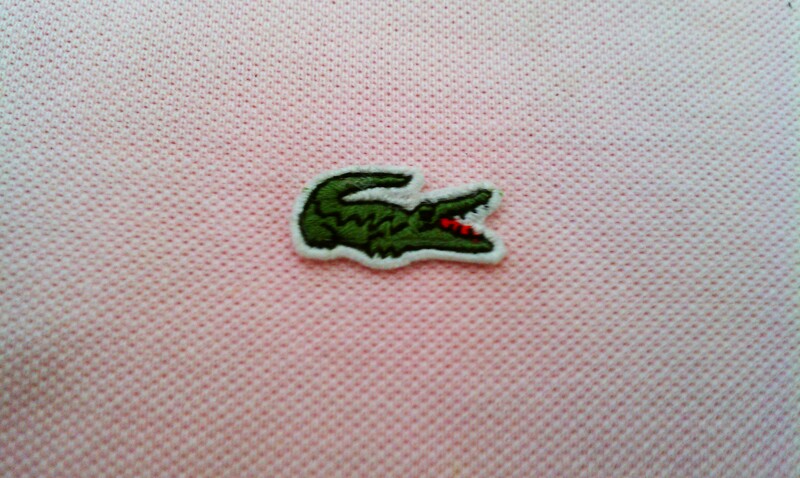 Note: I generally don’t button the Lacoste, but if I do it’s only the first button and never the second. I tend not to pop my collar on this shirt these days…unless I’m in Connecticut, where such a statement would not only be understood, but also welcomed! In the same shop, I also found a J. 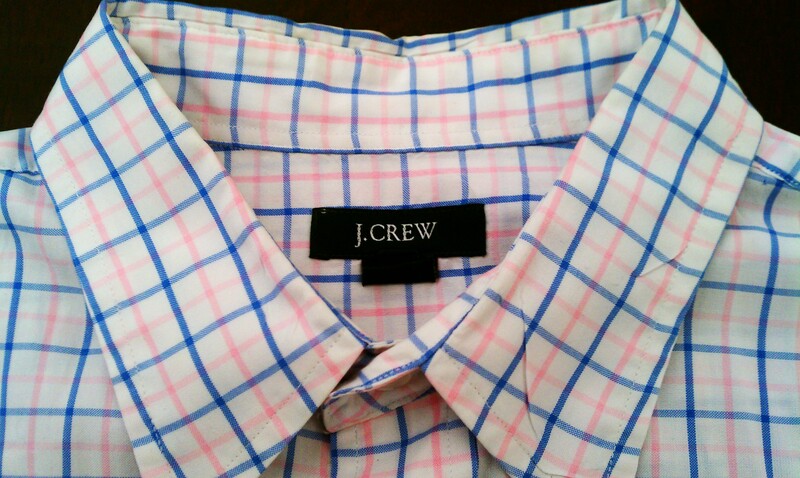 Crew 100% cotton, long-sleeved, plain collar tattersall shirt with pink and blue stripes for $15.00. The salesperson wouldn’t budge on that price, and I admit that it was very reasonable. The shirt was in perfect condition. 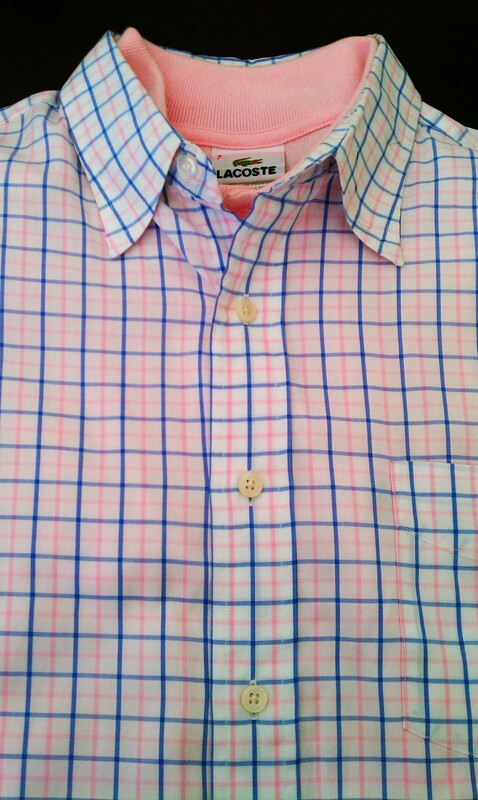 Of course, the most preppy thing to do with the Lacoste and tattersall shirt is to layer them. 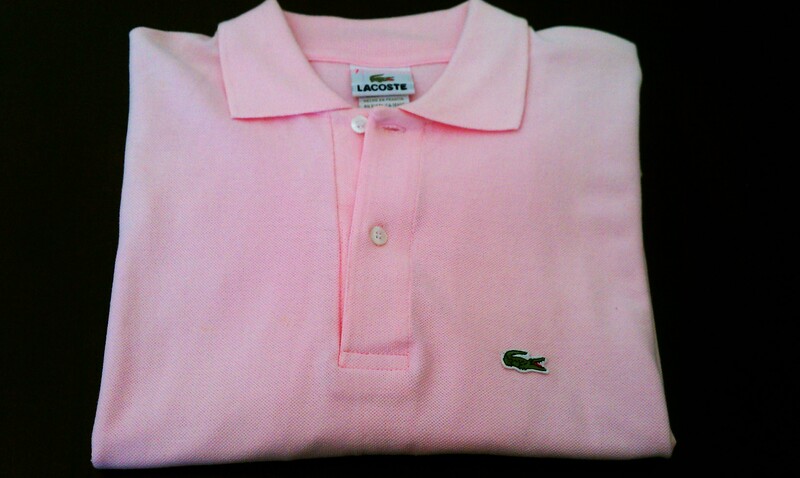 The pink Lacoste is going to look very sharp with this shirt. Unfortunately, it’s been so hot in New York City in October, that layering anything has been out of the question. 😦 I’d wear this combination with cuffed khakis, the preppy equivalent of blue jeans, and Weejuns without socks. Crocs are very well-behaved creatures, when they’re not looking for something to eat. But I’d just as soon keep my distance from the real thing, unless, of course, it’s on a shirt.